Sweden's Grand Magus might be locked in a time warp, one that keeps them pinned down in the early 1980's. 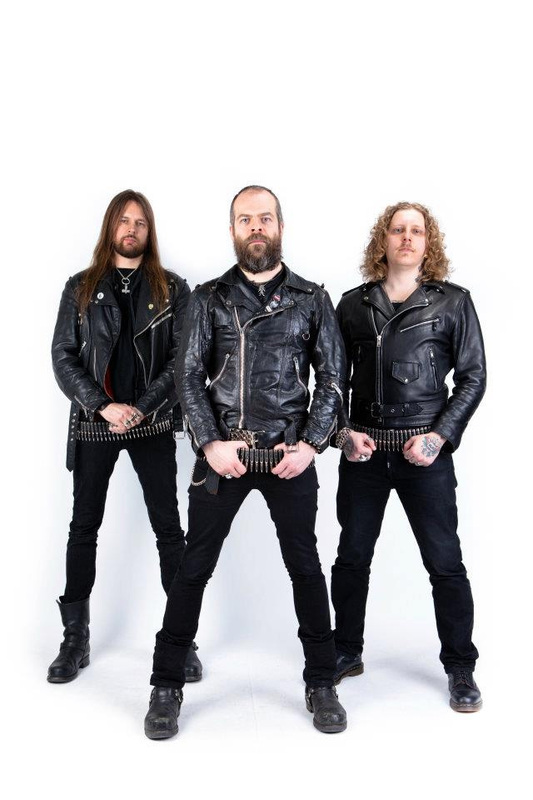 The power trio, purveyors of classic true metal, return with their seventh album, Triumph and Power, possibly their best to date. Grand Magus: what decade is this? In the true power trio sense, Grand Magus packs a lot of sound into each song as if the band had more members. Much of this comes from the wall of riffage that guitarist JB Christofferson creates, nearly effortlessly, in each song. Then in a song like Holmgang, when coupled with the choral intro, the sound becomes more elaborate and epic. Something similar happens at the start of On Hooves of Gold with more intricate guitar leading the vocal arrangement, and what also sounds like, metal gods forbid, a layer of hymnlike synths. I doubt it. But it is the combination of both his guitar and vocal arrangements that make the song sound quite awesome. And Christofferson is a great metal singer, melodic and clean. Additionally, Grand Magus can get their groove on as with Fight, a speedy number with a catchy chorus and a sweet traditional metal guitar solo. As with previous albums, Grand Magus offers some instrumental segues, often with some Nordic folk feeling, and they offer them again with Arv and Ymer (the words meaning what?). They're both short pieces, but also reflect on the band's ability to craft some epic sounds, especially with the latter song. Ymer precedes the last and longest song, The Hammer Will Bite which returns the band to their fundamentals, that wall of riffage, larger than life vocals and, curiously enough, a rather understated, but good, solo from Christofferson, something in contrast to rest of the album. Nevertheless, there's not a weak song in the bunch. 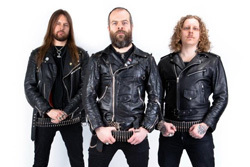 This is truly terrific 'true' heavy metal from three dudes who bleed it. Easily recommended. 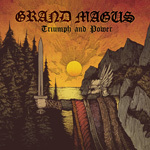 Grand Magus's Triumph and Power is truly terrific 'true' heavy metal from three dudes who bleed it. Easily recommended.